The refuge Baita Segantini can be found in the Passo di Rolle which is characterized by the Pale di San Martino mountaingroup. 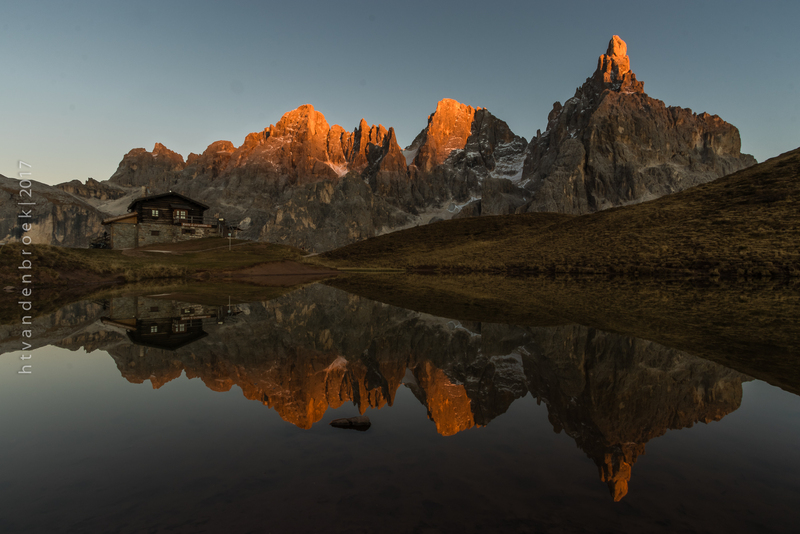 The mountain hut is accompanied by a small lake, perfect for great reflections of the Cimon della Pala mountain peak. Compared to the well known Lago di Braies (or Pragdser Wildsee) this lake is tiny but also during evening hours much less crowded. If the road towards the lake is accessible, you'll be able to park close to the refuge.